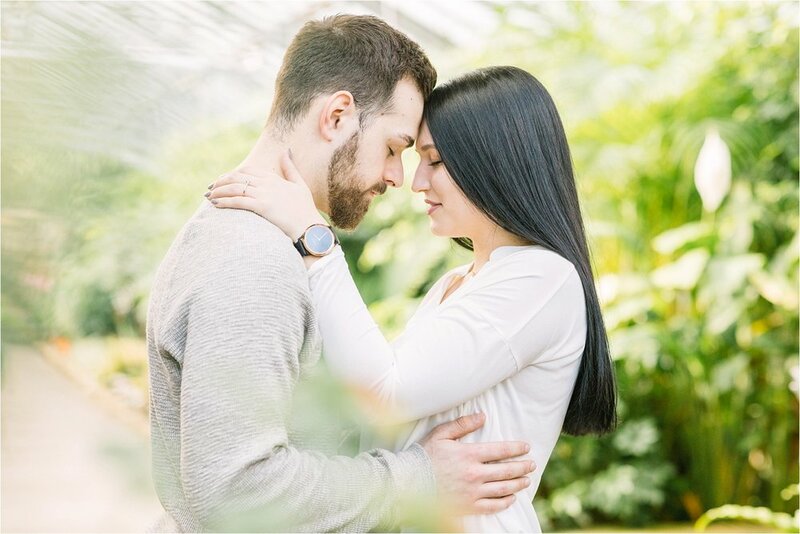 The first location we visited was Rockefeller Park Greenhouse, a cozy hot-house which features pretty red brick walls & walkways, plenty of natural light, & gorgeous flowers + greenery, including cacti & southwestern style plants — which if you know anything about Tom & Jamie, you know that’s totally their style! There was also a cute vintage door & a classy brick wall located on the property that we used as props for our shoot. So much variety is offered in a relatively small space here. This location is definitely one of our new favorite go-to spots in Cleveland during the winter months when pretty indoor locations are limited & outdoor shoots are more difficult to manage. 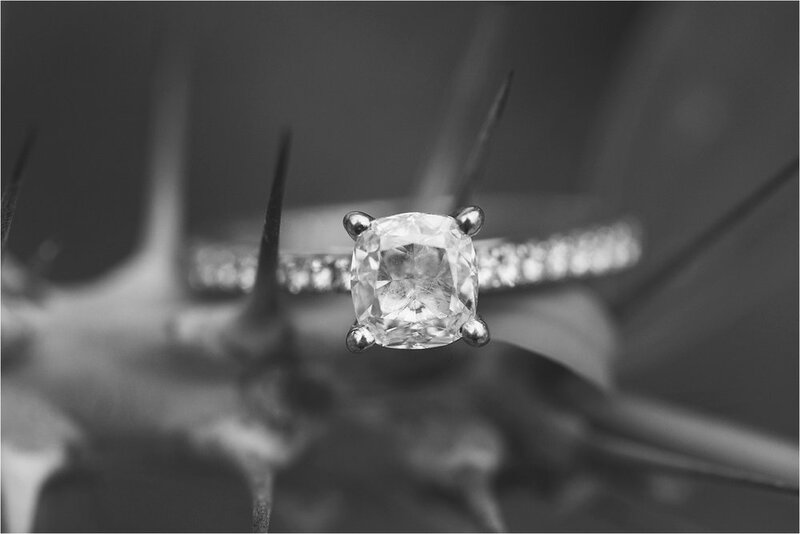 Isn’t this ring stunning?! Love these southwestern plants, too!!! This wall right outside of the greenhouse was such a fun addition! Next, we traveled to the Hungarian Cultural Garden. This spot was just perfect. Even in winter time, the garden’s beauty is very apparent—from its far reaching arbors to its pool and plants, it is absolutely gorgeous at any time of year, especially when there’s snow fall! It also helps that this location faces westward, allowing pretty natural light to illuminate the garden from behind. Sedona pup loving her time in the spotlight! Isn’t the ceiling at the museum so pretty?! I loved their outfit choices — especially Jamie’s dress. It complements the museum so well!